From working in the Motorcycle Industry for 8.5 years to riding a 2010 BMW R1200GS from Chicken Alaska to Ushuaia Argentina over 13 months, from experience I know a few things about motorcycles, parts and gear now. 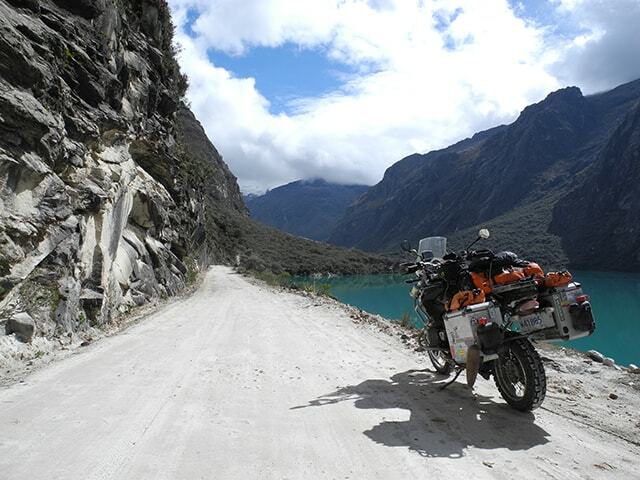 My motorcycle travel style is to explore the exposed places of the planet where the roads are generally technical and chances for help if there were a break down are few. I have to trust my gear with my life and my Bumots have surpassed every expectation I've had. These are made for real Overlander's that need their panniers to be waterproof and dust proof. Having secure lockable latches and quick detach mounts keep the stress low to lock up valuables and be able to attach and remove them quickly. I wouldn't use any other pannier system for my BMW R1200GS. Since I haven't had to worry about my Bumots, it's given me more time for every thing else. These are the best on the market !